Built in 1856, the Victoria Hotel was built on the site of a much older inn called sucessively 'The Pilot Boat', 'The Nag's Head' and 'The Star' . 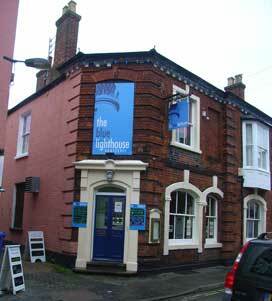 For much of its life the Victoria was notable as the only non-Adnams pub in Southwold. 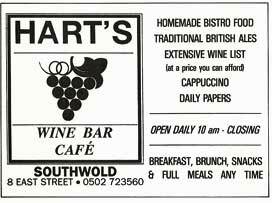 It was owned by the Norwich brewer, Bullards, which was bought by Watneys in 1963. 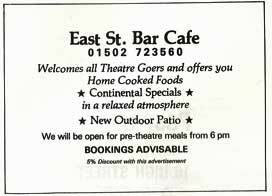 From 1930 until 1956, the pub was managed by John and Elsie Adams. Their great grandaughter, Julieanne Steel and her mother, Rosanna, kindly provided us with the details of their tenure. Walter Wigg (K 1908) Public House. John Adams - Public House Tenant (K1933 and 1937). John Adams and his wife, Elsie have a married daughter, Florence May Gilbert and her three little girls, Rosanna, Jaqueline and Heather, all of whom also live in the pub. John Adams dies and his widow Elsie takes over the pub. The same year her daughter Florence gives birth to her third baby girl, Rosanna. Elsie makes it known that her aim is to run the Queen Victoria specifically as a pub for working men. Elsie Adams - Public House tenant. John and Elsie's daughter, Florence May (Gilbert), dies in the pub of TB aged just 32, leaving her mother, Elsie to look after the three small girls as well as running the pub. Elsie Adams dies after more than twenty years in the Queen Victoria. Walter and Phyllis Cook take on the lease of the pub and live on the premises. Walter has been running the wet fish shop across the road at No 5 East Street and continues to do so although, from 1958 onwards, he increasingly hands over its management to his son, Richard. Behind the Victoria is a separate smokehouse which is used by the Cook's fishmonger business. David Endersby and his father, keen fishermen, frequently lodge at the Victoria on trips to Southwold during the 1960s. Read David's reminiscences here. 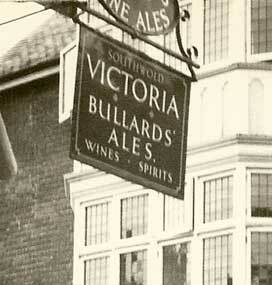 The Victoria pub sign in the 1960s. The building behind it is the WS Cook & Son Fishmongers shop, No 5 East Street.